In the Old World, 1702 was a turbulent year politically, royally, and militarily. Treaties made were broken; new treaties were made. Queen Anne succeeded to the throne after William III died of complications after falling off his horse. Anne went on to have 17 children, any one of whom would have secured the succession, but the extraordinary and sad fact is that none survived beyond childhood. 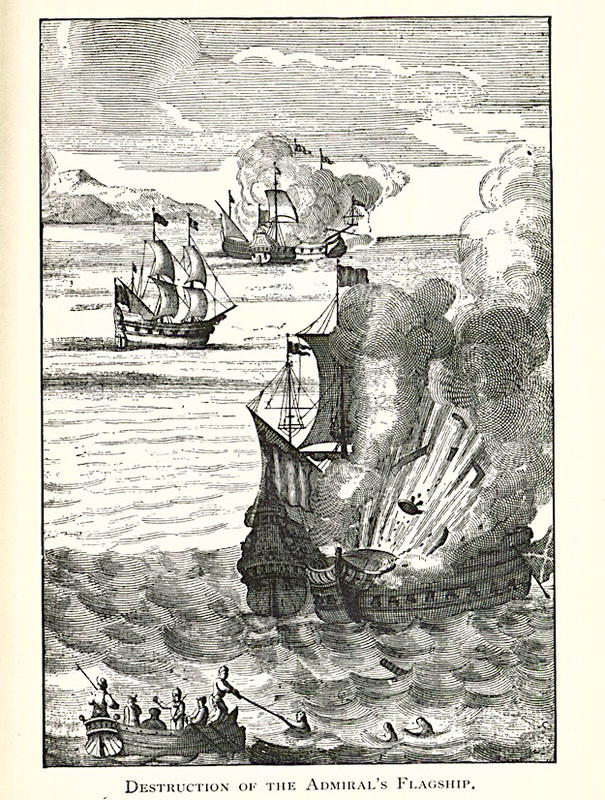 In the New World, English troops were abroad, attacking St Augustine in (then-Spanish) Florida. Meanwhile in the world of cartography, the development of mapping continued apace with the Dutch retaining their pre-eminence, and the French and British making important contributions. Which brings me to Samuel Thornton, hydrographer, and his mapping ways. He was the son of the more famous cartographer, John Thornton, considered the principal English chart-maker of the late c17. As his father aged, a degree of uncertainty seems to have crept in over the authorship of Thornton maps. It is clear that after John’s death in 1708, Samuel took over the business and reissued maps under his own name, sometimes with little alteration other than the name in the cartouche. However there was possibly a ‘grey area’ for a few years before, when the same practice applied. 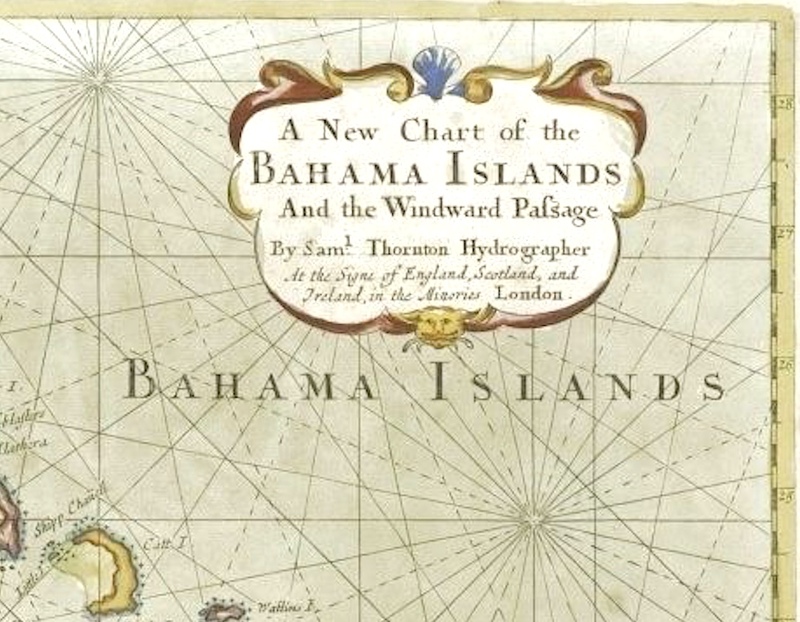 Samuel Thornton’s ‘…New Chart of the Bahama Islands and the Windward Pafsage (sic)’ is thought originally to date from c1702, when presumably the enjoyably colourful Cartouche (above) in fact bore his father’s name. 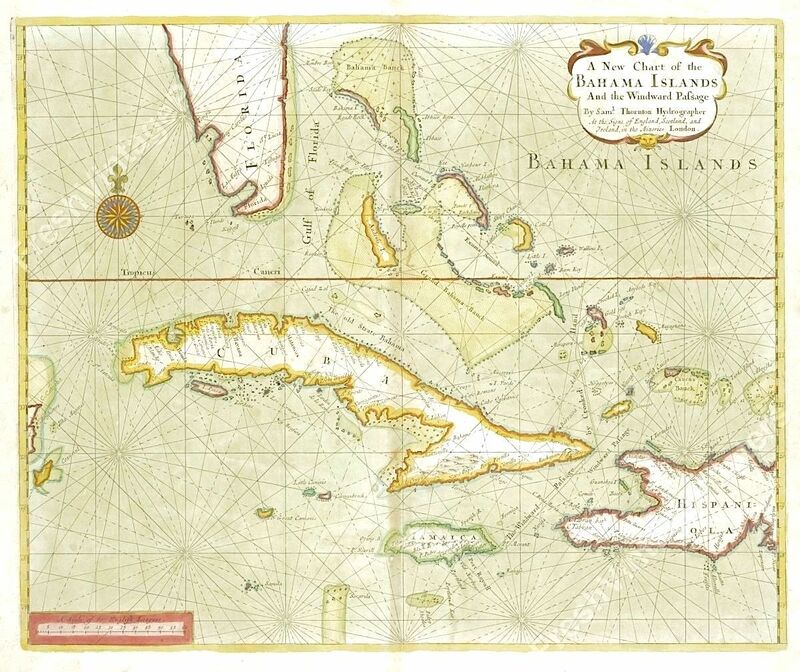 The map covers an extensive geographical area besides the Bahamas, with the Florida coastline revealed as remarkably unpopulated. 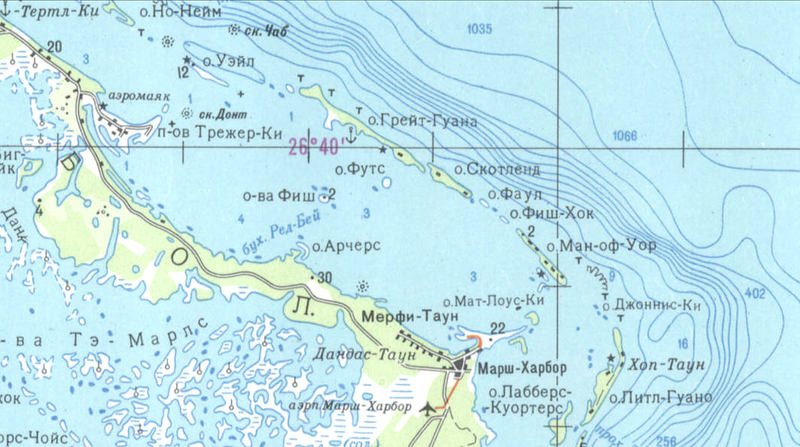 Zeroing in on the northern Bahamas (and as is usual with historic maps), certain features stand out, not least with spelling. Andros was written Androfs (sic). 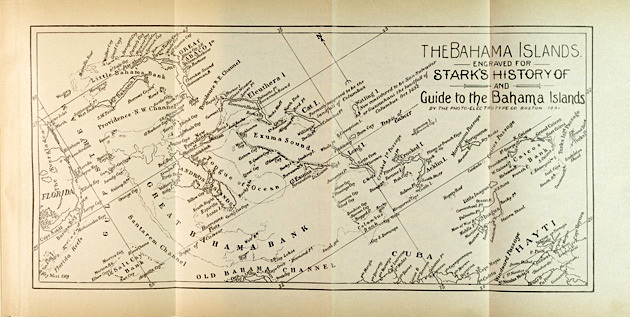 The Bahama Banck (sic) is shown to extend quite a long way north of Abbaco (sic) and Grand Bahama (shown as Bahama I). 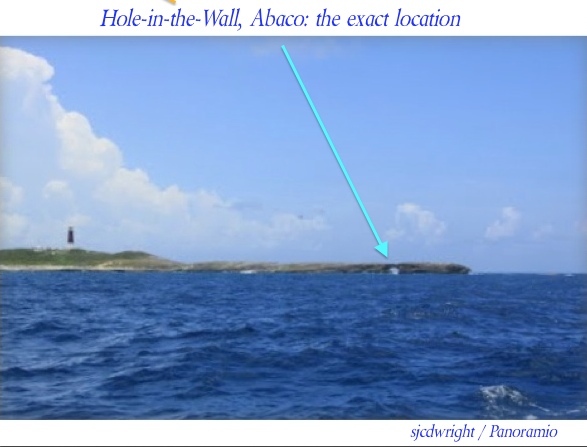 And as noted in earlier posts relating to Abaco’s history (see links below), ‘Hole in the Rock’ (ie Wall) is the only mainland location marked. 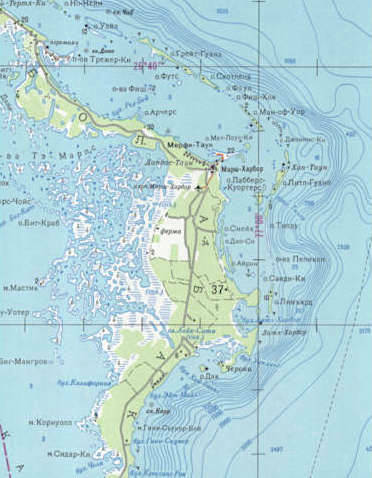 This was not because there was any sizeable settlement there, but because for at least a century beforehand, Abaco’s most notable topographic feature was a significant and instantly recognisable navigation marker for shipping at the southern end of the island. One problem with Samuel Thornton’s reissues of his father’s maps was that flaws an original map from which a reproduction was derived went uncorrected. For example if you look at the header image of the full map, there’s a dark band right down the centre of the map, which persisted in later versions. More importantly, there was probably little or no correction of errors that new expeditions in the area might have revealed. 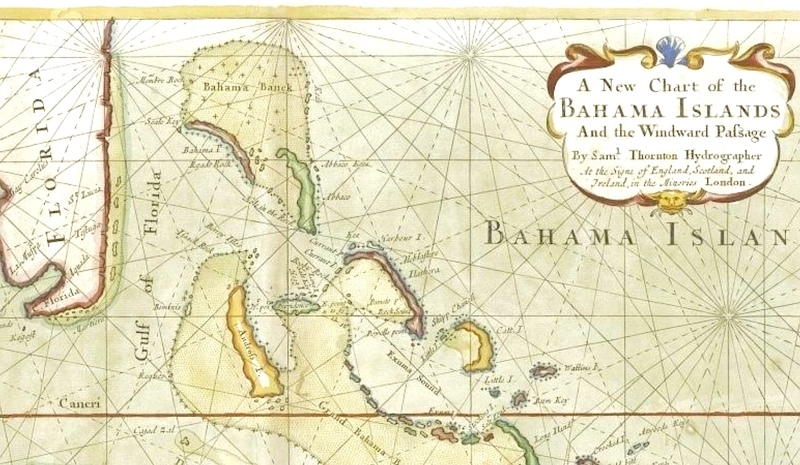 Be that as it may, the Thornton map plays a significant role in the mapping of the Bahama Islands and beyond, and marks the start of an increasing sophistication as the new century progressed. 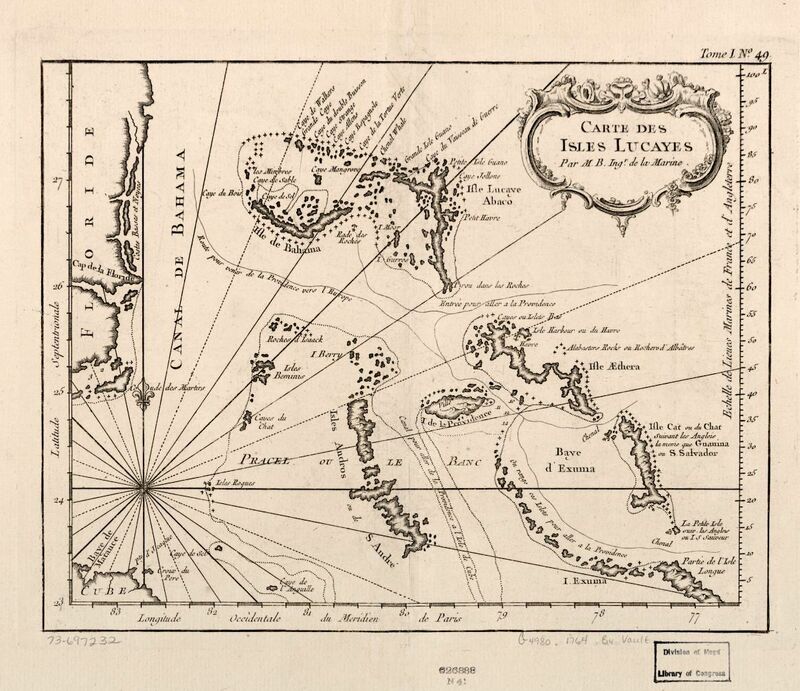 Jacques Nicolas Bellin (1703 – 1772) was a French naval hydrographer & geographer. 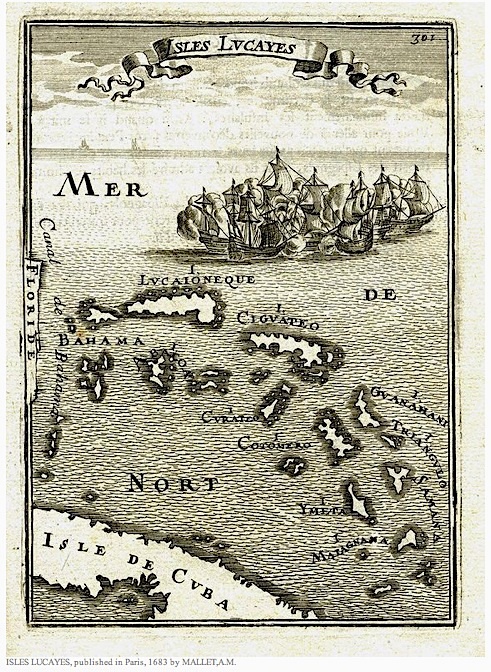 He was a prolific mapmaker, especially of French territories, and was noted for his meticulous technique and attention to detail. He was elected to the Royal Society; and in due course was appointed Official Hydrographer of the French King. 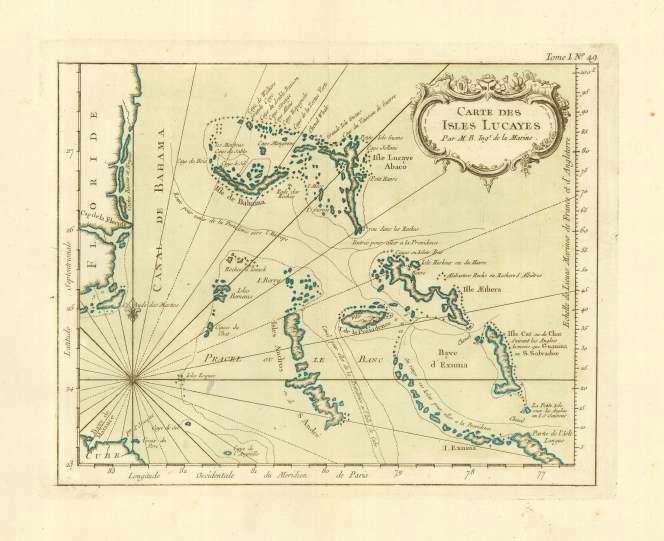 In 1764, Bellin’s Petit Atlas Maritime was published. 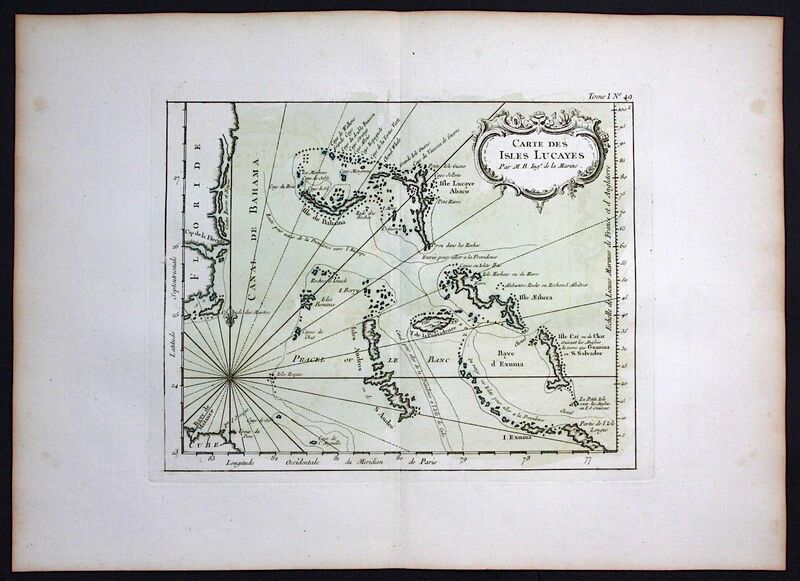 I am featuring one sheet from the atlas, the “Carte des Isles Lucayes”. 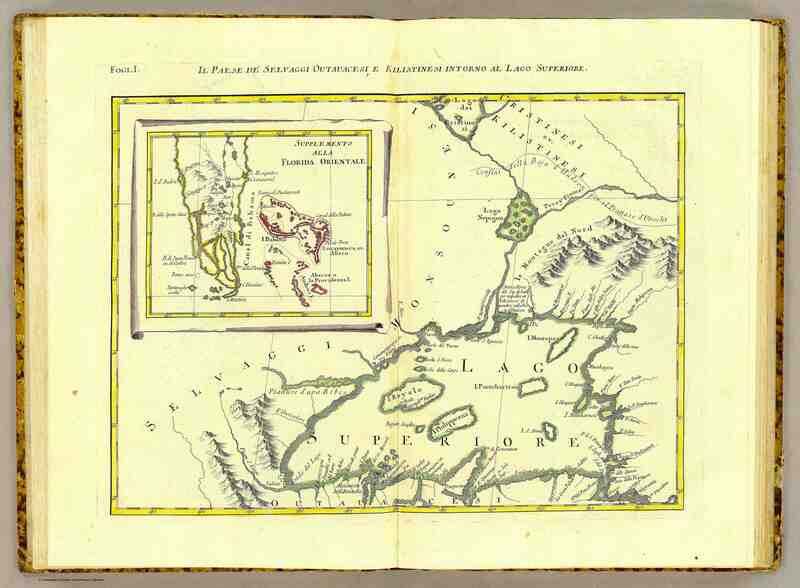 The whole work came as a 5-volume set of map sheets, containing a total of 580 detailed charts. 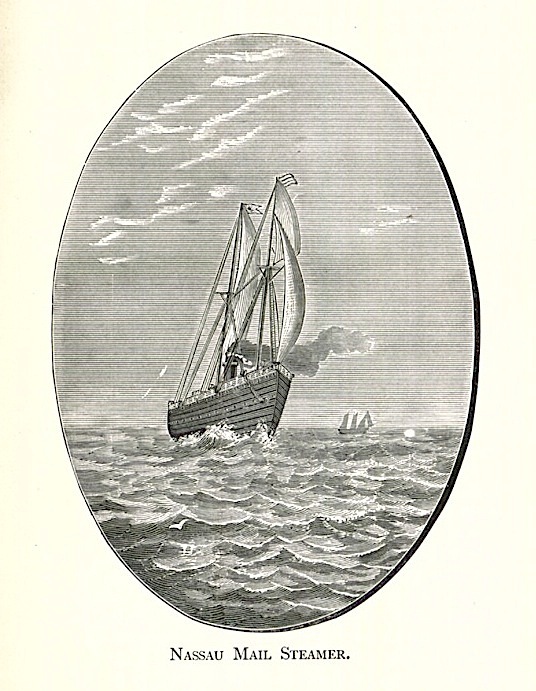 As you will see here, this copperplate engraving can be found in various forms: plain black & white; hand-washed or hand-coloured; or grandly multicoloured. These variations are the consequence of the distinction of Bellin’s work, which led to repeated re-publication in the c18 and beyond. Additionally, his work was admired and copied abroad. 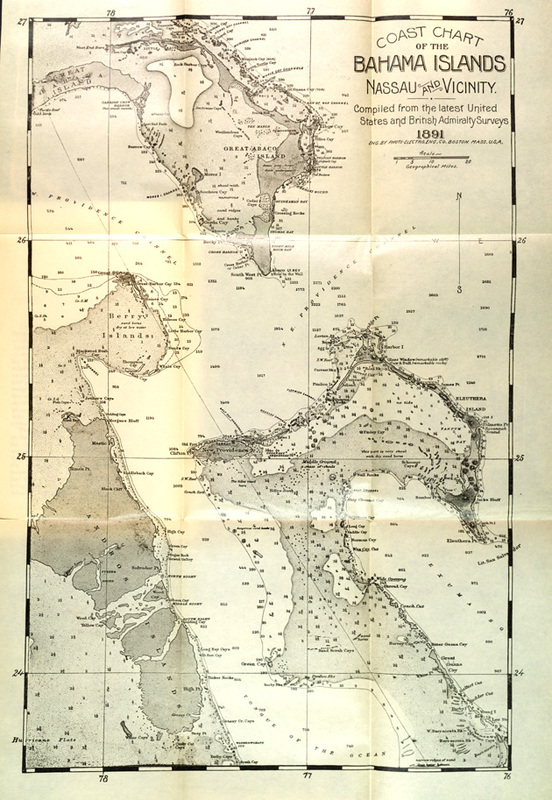 Bellin’s map contains plenty of information – including depth markings and advised shipping routes – though some of the topography might be considered debatable by modern standards. As you look more closely, some of the details are startling. 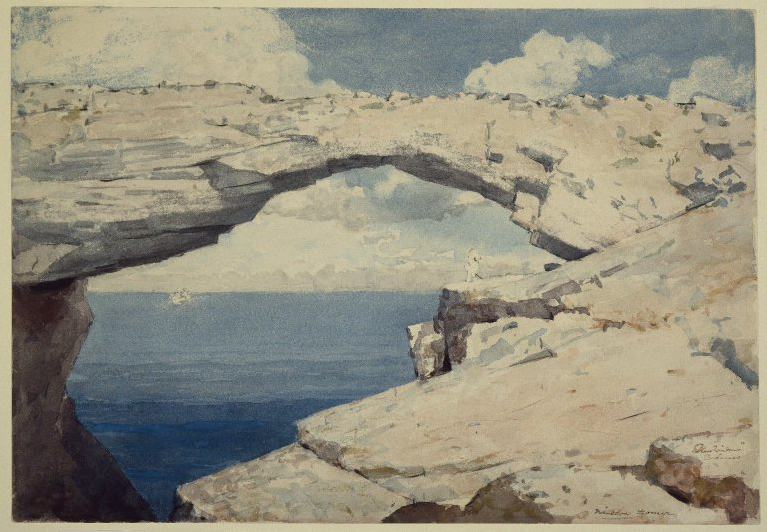 For example, on New Providence (see above) the only place-name is simply designated ‘Ville’, as though the settlement there lacked the significance to merit a name. And look at it now… Andros is completely name-free, with not even a Ville marked – as is Grand Bahama for that matter, though a few Cays are named. Let’s turn to Abaco. 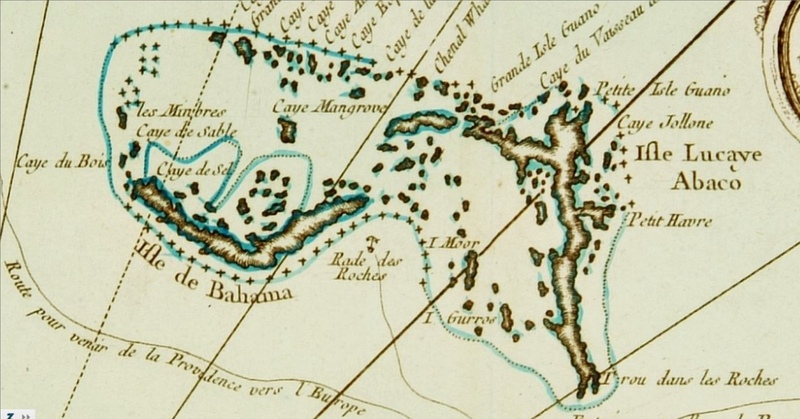 This section of the Bellin map also appears in my Abaco mapping article relating to HOLE-IN-THE-WALL. 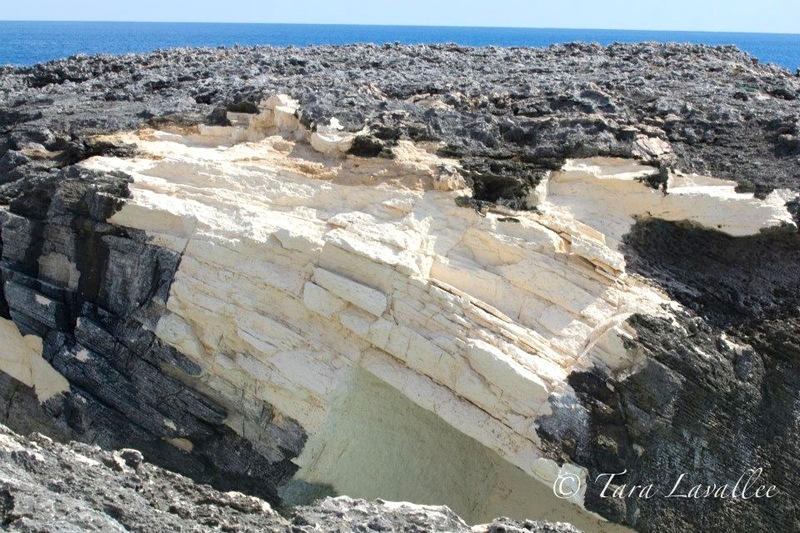 This geographical feature at the southern extremity of Abaco (now sadly blown apart by HURRICANE SANDY after millennia) was an important navigational landmark for shipping by c17. The name, in French here, underwent a number of changes of the centuries, as you can see using the HITW link above. 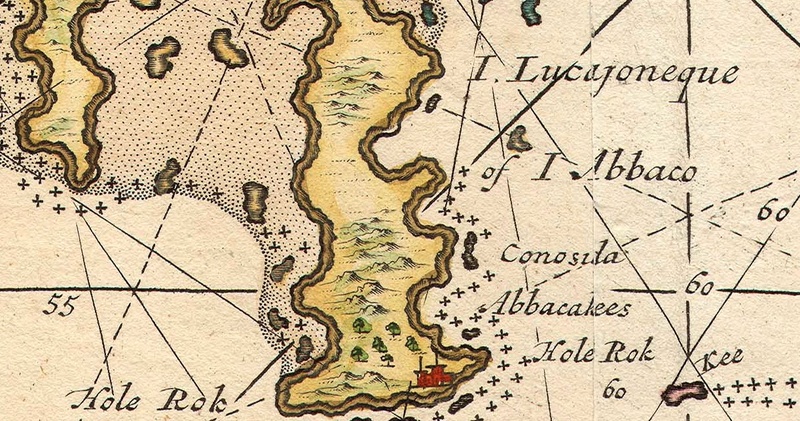 Also of note is that at least Abaco was credited with a single named location – Little Harbour, the first settlement to feature on early maps, and the only one for a surprisingly long time. I imagine the position of this inlet and the safe anchorage it could provide for relatively large vessels became well-known. 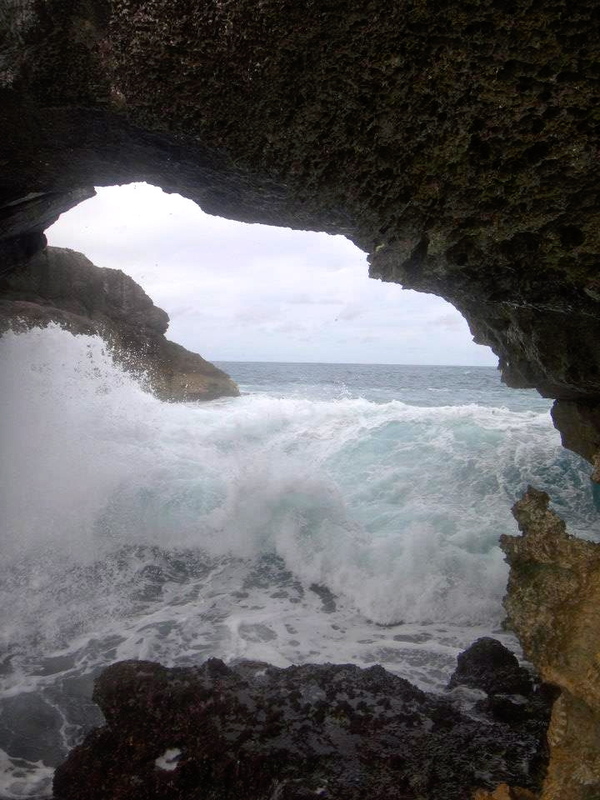 Like Hole-in-the-Wall, it was of seafaring significance. 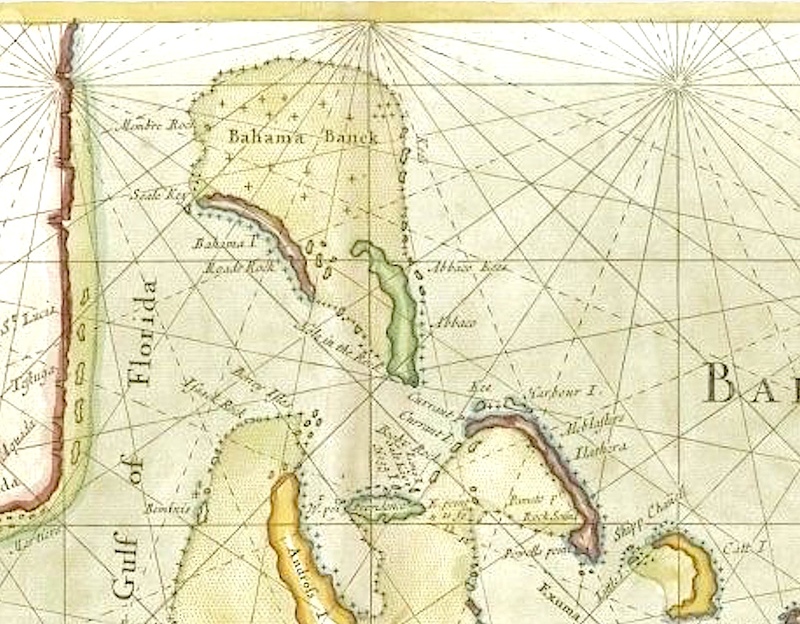 A c18 mariner, looking at Bellin’s map in contemplation of a trip to the Isles Lucayes, might conclude that the seas around Abaco and Grand Bahama might be treacherous. 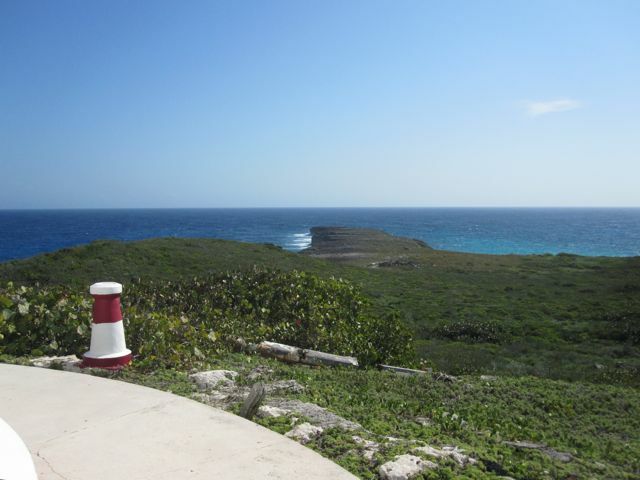 The profusion of rocky areas and the indication of depth changes around the islands and cays suggest caution would be needed for a voyage. 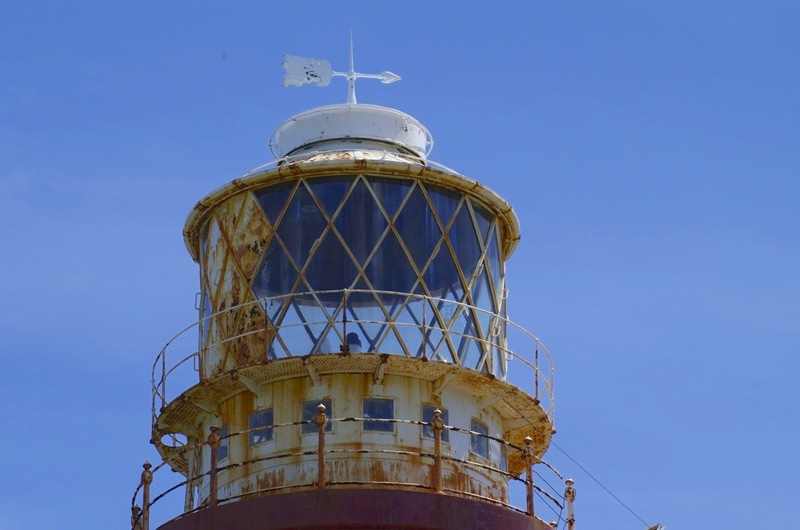 And as we know, throughout history ships have been wrecked in these seas – a situation somewhat improved (but not entirely eliminated) when the three ABACO LIGHTHOUSES were built. 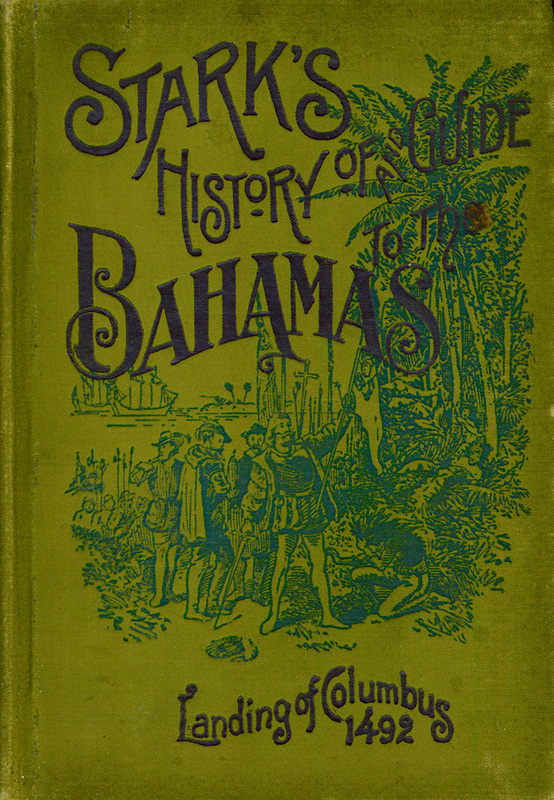 I once wrote a post tracking the history of Abaco in general, and Hole-in-the-Wall in particular, in historic maps spanning 4 centuries. You can read it HERE. For now, I want to move on to another map by Mallet that I have just come across. 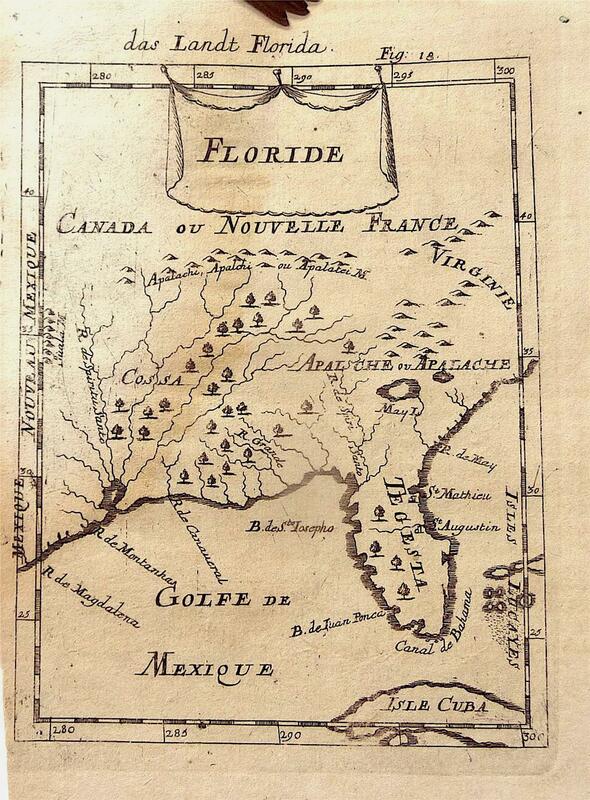 Published in c.1684 (sources vary), this map is of Florida (and beyond), titled rather strangely in German but otherwise in French. 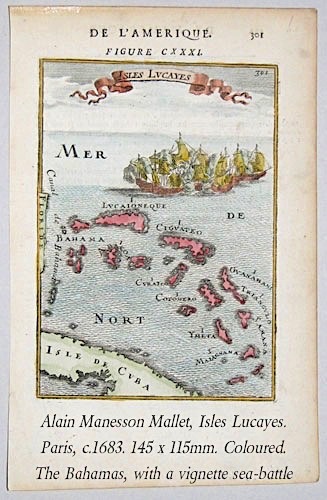 Here, the Isles Lucayes are very much a side-feature, reduced to the West End of Grand Bahama, and 4 unspecified small cays like the 4-dot on dice. There’s no embellishment besides the simple ‘draped’ title, the trees and mountains – no fleet of ships in full sail in the Gulf of Mexico. To be honest, though dated within a year or 2 of each, other the maps are so entirely different in style and even script that they could easily have been made by different people. 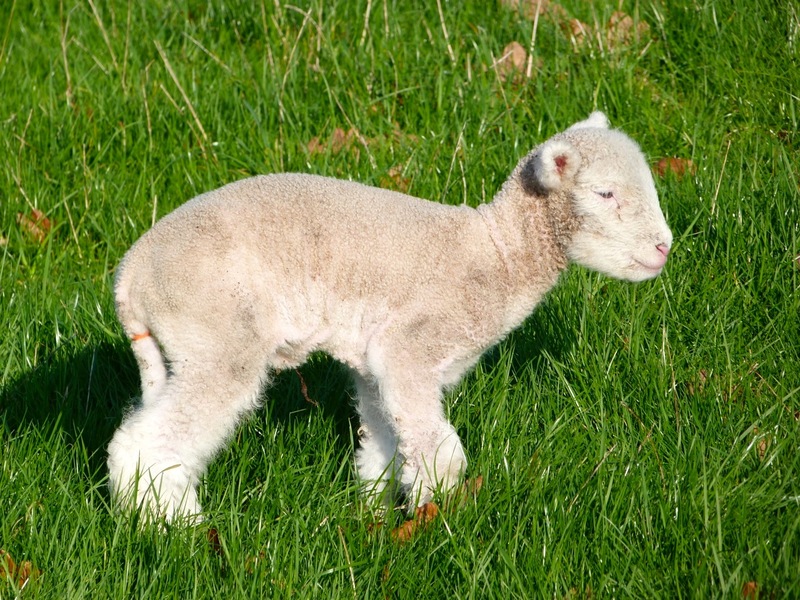 In fact I had to double-check the authorship with various online sources. 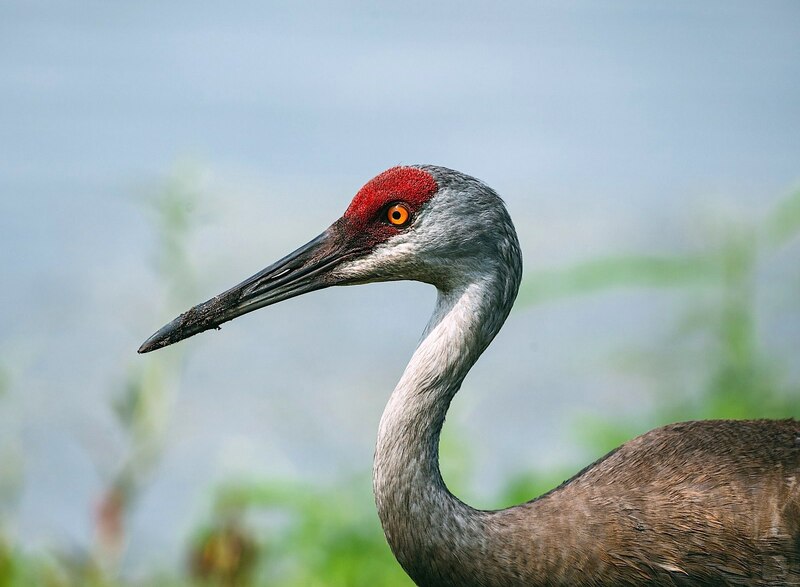 Florida is named Tegesta, for the Native American tribe that lived in the region. The name still exists in the form Tequesta, in Palm Beach County Fl. 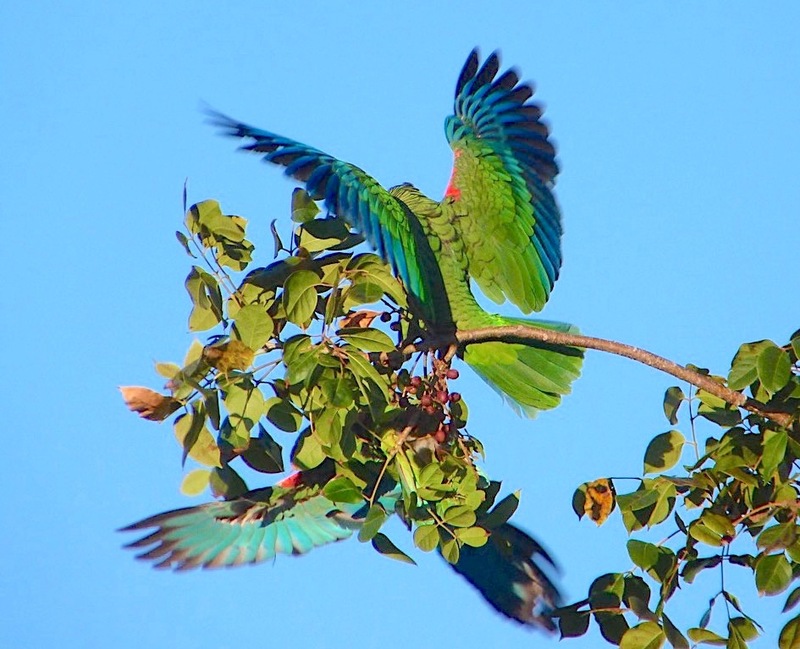 You can read more about this fascinating tribe, their lives and cultural practices HERE. Just two settlements in Tegesta – St. Augustine and St. Mathieu – are shown. 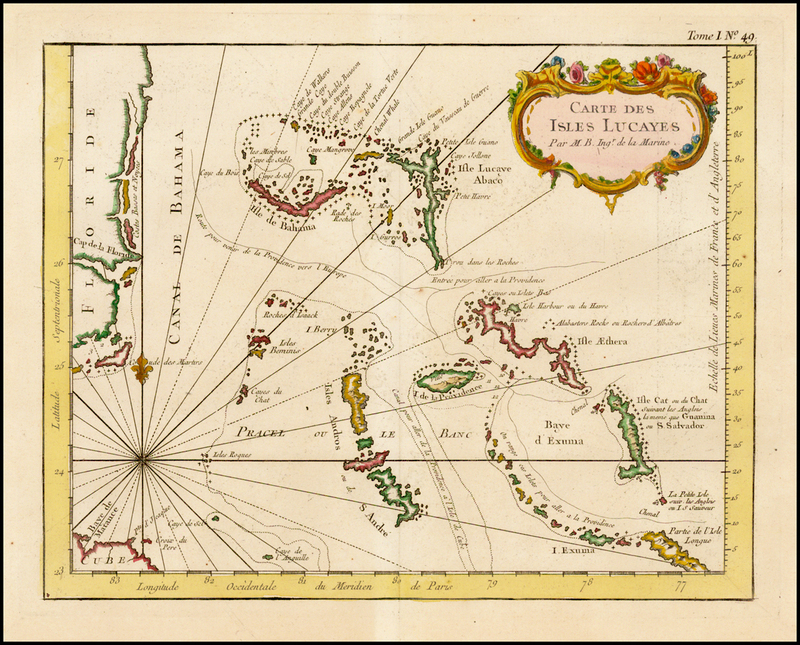 I’ve gone rather off-piste from my usual Bahamian territory, but this early map provides an enjoyably interesting cartographic overview of the known topography / geography of the day. I had been toying with a plan to write something fishy today. Lifting the lid on the secrets of the creole wrasse, maybe. Then something arrived in my inbox overnight that changed my course entirely. I was struck by an idea harder than a torrent of mixed metaphors speeding towards a bullseye in the motherlode. A map! A map of Abaco!! All in Russian!!! From the Soviet Russian Military Survey!!!! Irresistible. An occasion for multiple exclamation marks. My blog is stuffed full of maps. They are scattered everywhere, like cartographical confetti. There’s even a page for some of them HERE. 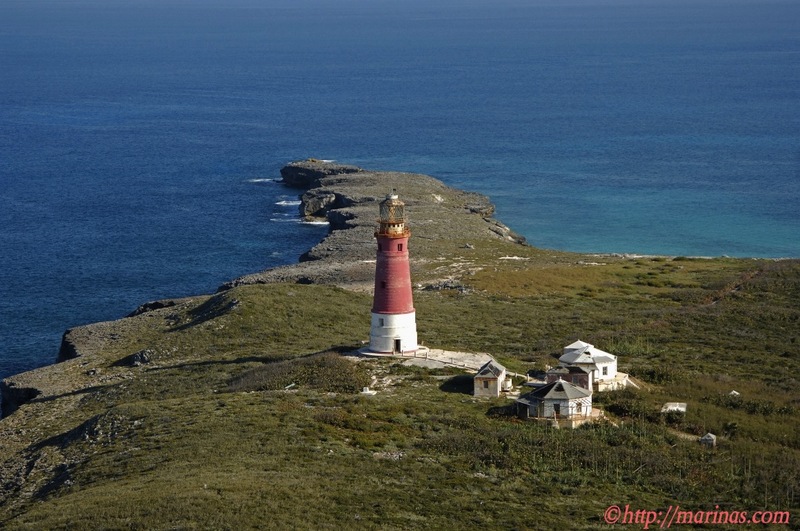 Want a map of Abaco’s HIGHEST POINT (134m, if you have the energy). 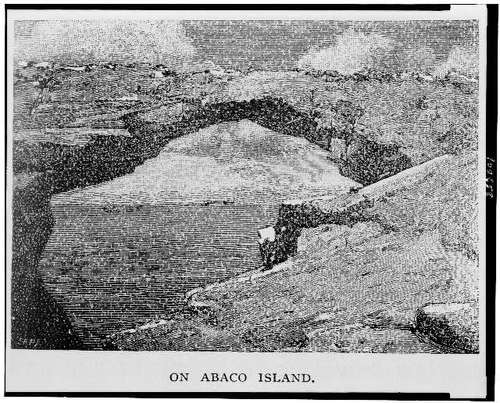 Need to see what Abaco looked like 300 years ago? Try HERE. 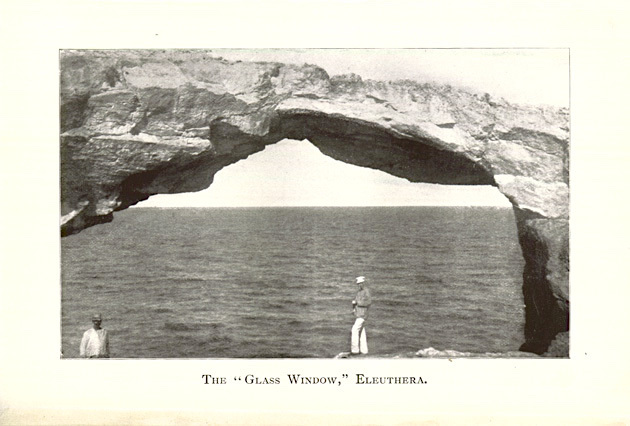 Need a history of Hole-in-the-Wall in maps? Try THIS. And so on. So, back to the interweb thing. And eventually, something usable turned up. 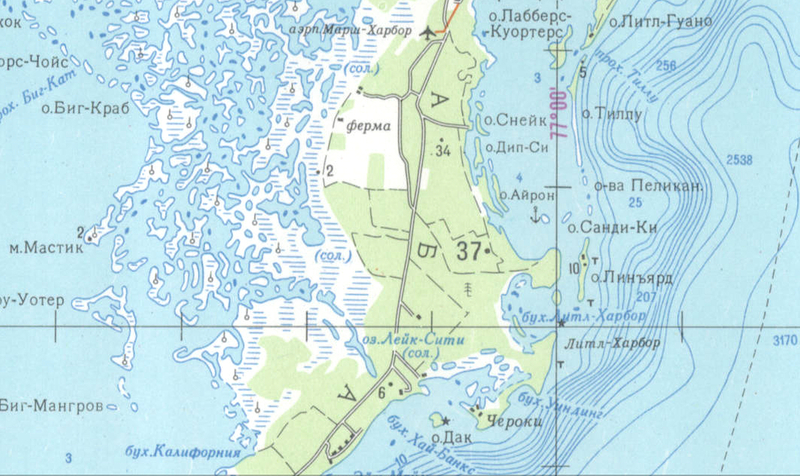 Here, with props to Clicpic, is Abaco in the late Soviet era. Check out where you live – in Russian. Got friends on Грейт Гуапна Кй? 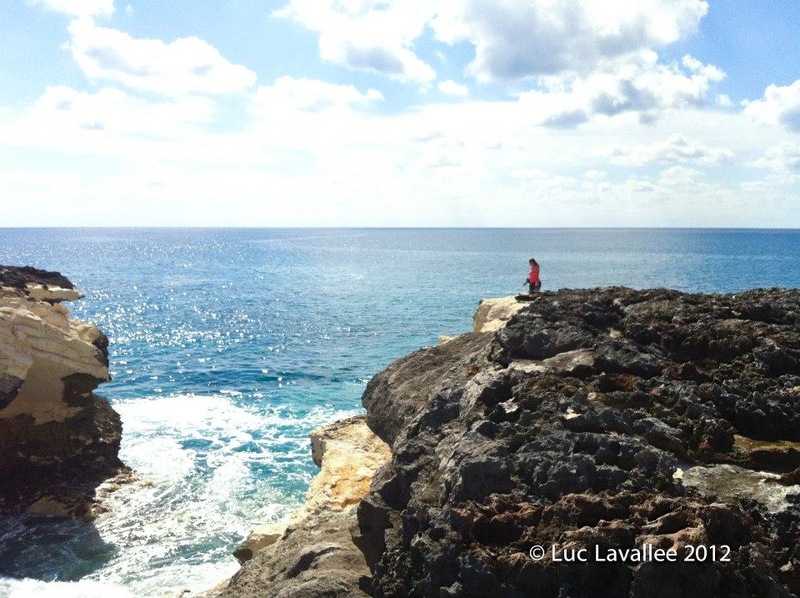 Sadly, the northern end of Abaco and the whole southern end from Crossing Rocks down to Hole-in-the-Wall and right round to Sandy Point is absent. That area is of course the perfect place for missile silos**. Except now it’s a National Park, so that wouldn’t be possible… would it? 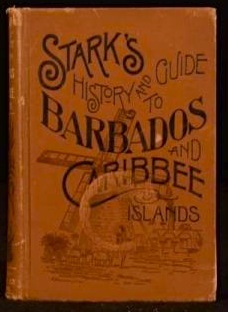 James H. Stark appears to have been, for his time, a veritable Rough Guide for the Caribbean. 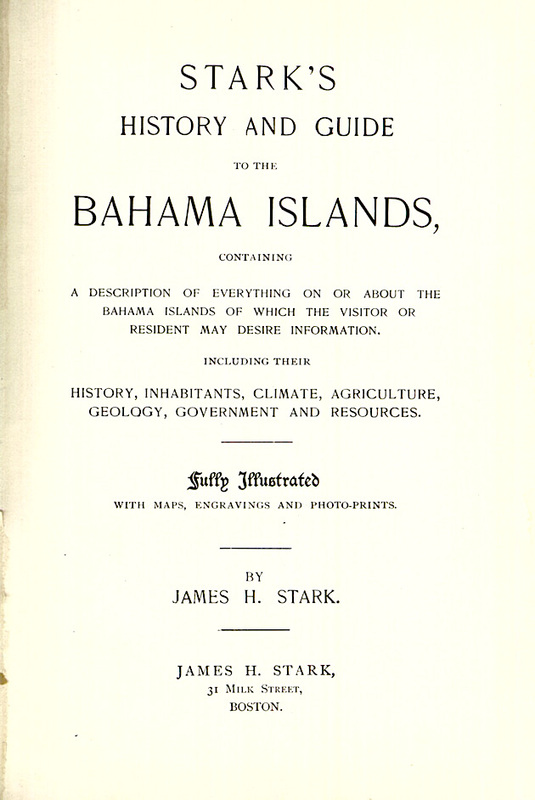 In 1891 he produced an entrancing tome, the commendably grammatically correctly-titled “Stark’s History of and Guide to the Bahama Islands Containing a Description of Everything on or About the Bahama Islands of Which the Visitor or Resident May Desire Information, Including Their History, Inhabitants, Climate, Agriculture, Geology, Government and Resources”. More of his other magna opera below. The jaunty and classic late c19 cover depicts the landing of Columbus, lest the unwary reader should be so ill-informed as the be unaware of the location of the great explorer’s landfall. And gives the date of the event, for the sake of completeness. The title page is most informative of the contents, and manages to namecheck the author three times (or thrice, as he might have put it). The illustrations and in particular the maps are wonderful, and call for a small gallery for your enjoyment. 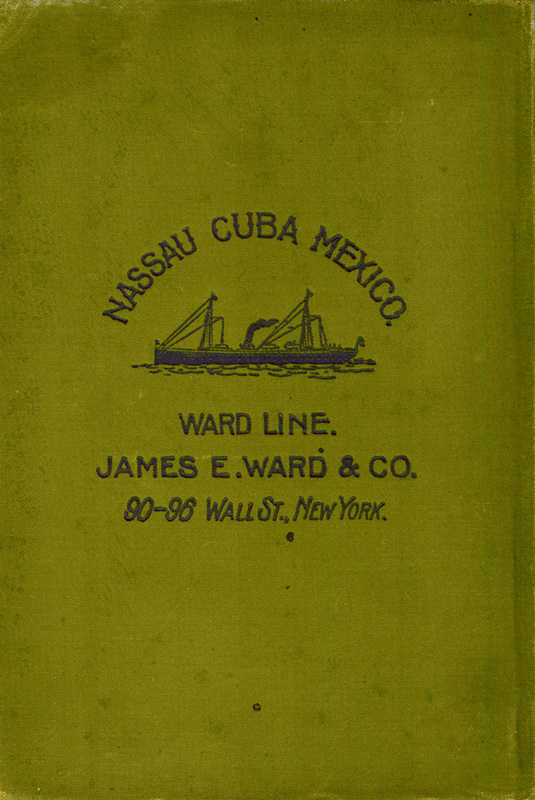 The “Coast Chart” is compiled from “the latest… surveys.” The map of Nassau is most interesting to compare with a map of 125 years later. And the engraved map is set at an unusual angle to say the least. 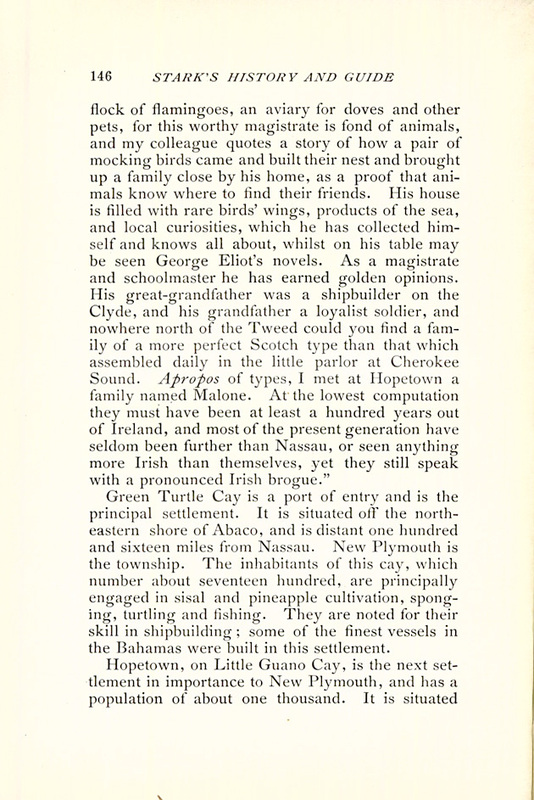 [I’ve tried to clip the Abaco part to check the place names, but I can’t yet get a clear enough image to read]. 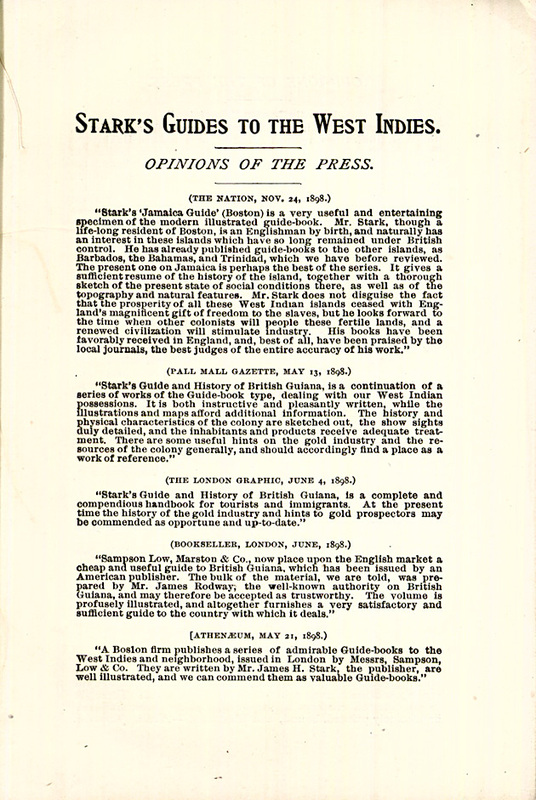 Credits: my primary source is the University of Florida Digital Collection, to which thanks. However there are plenty of mainstream online sites that offer this book to view; and you can download it or even get your own POD (‘print on demand’). 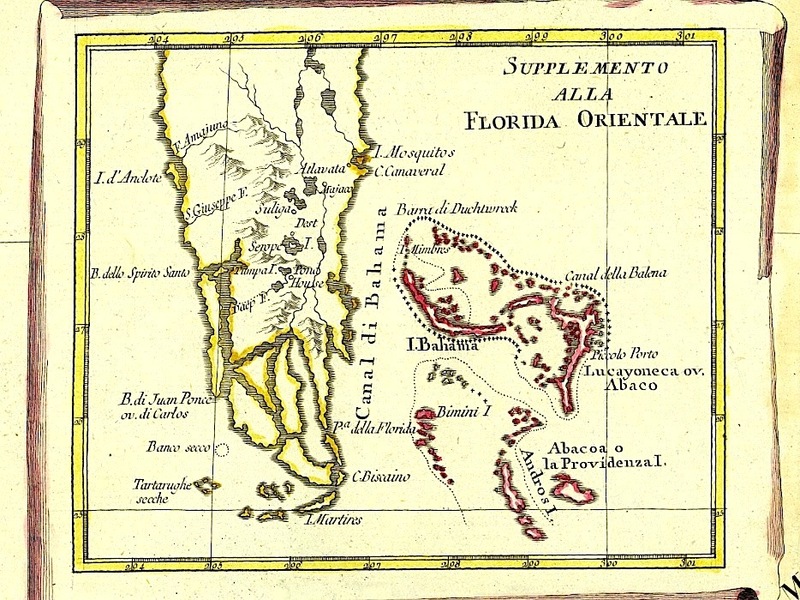 Zatta was a Venetian cartographer who produced some important maps in the 1770s and 1780s, including a 4-volume atlas of the world. Mitchell was a geographer and botanist, best known for the first comprehensive map of eastern North America (1755); Guillaume Thomas Raynal was a French writer and journalist most famous for his treatise on the ‘philosophical and political history of the establishment of commerce by Europeans in the the two Indies’, a work that was considered controversial (it was banned in France, and copies burned). The ‘eastern Florida’ inset conveniently happens to include the northern Bahamas. Staying with Fl. for a moment, of note is the inclusion of C. Canaveral, spelled then as now. Key Biscayne is also shown. I wondered about the place marked Tartarughe Secche – ‘Dry Turtles’. It is now Dry Tortugas National Park. 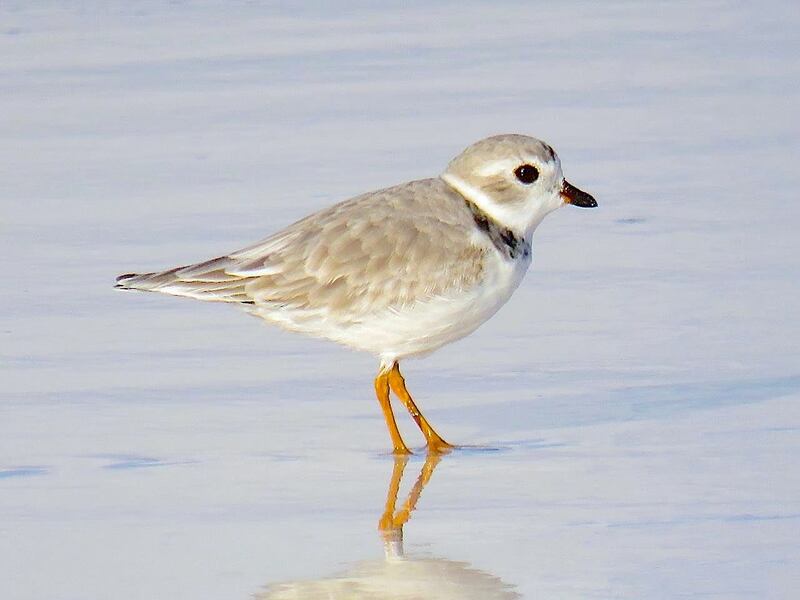 “Mostly water, this remote park features abundant marine & bird life plus a 19th-century fort. 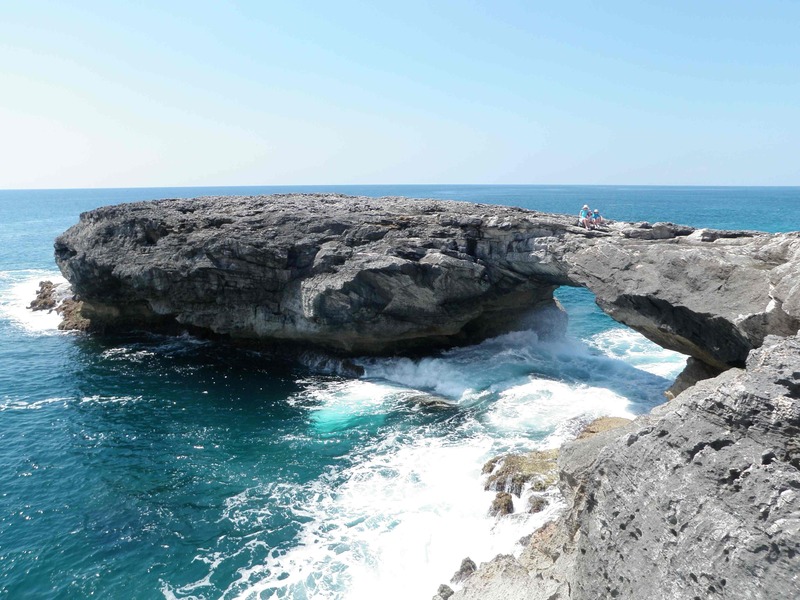 It comprises 7 islands, plus protected coral reefs. Garden Key is home to beaches and the 19th-century Fort Jefferson. Loggerhead Key has a lighthouse and sea turtles. On nearby Loggerhead Reef, the Windjammer Wreck, the remains of an 1875 ship, is a popular dive site. 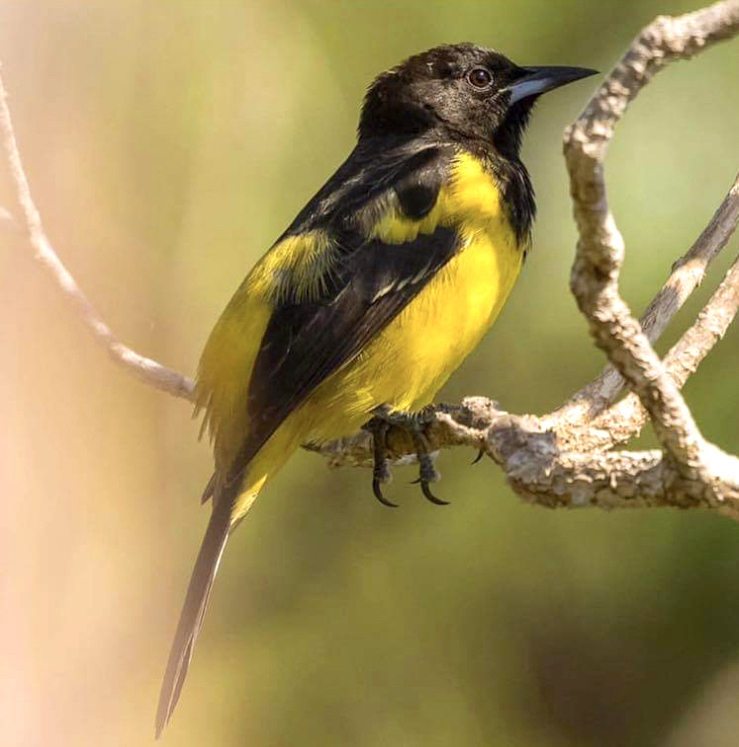 Bush Key is a nesting site for seabirds like sooty terns.”** I suspect that these coral reef islets were marked on maps in days before lighthouses because of the hazards they posed to navigation at sea; and because, like Hole-in-the-Wall on Abaco, they were useful navigation aids. 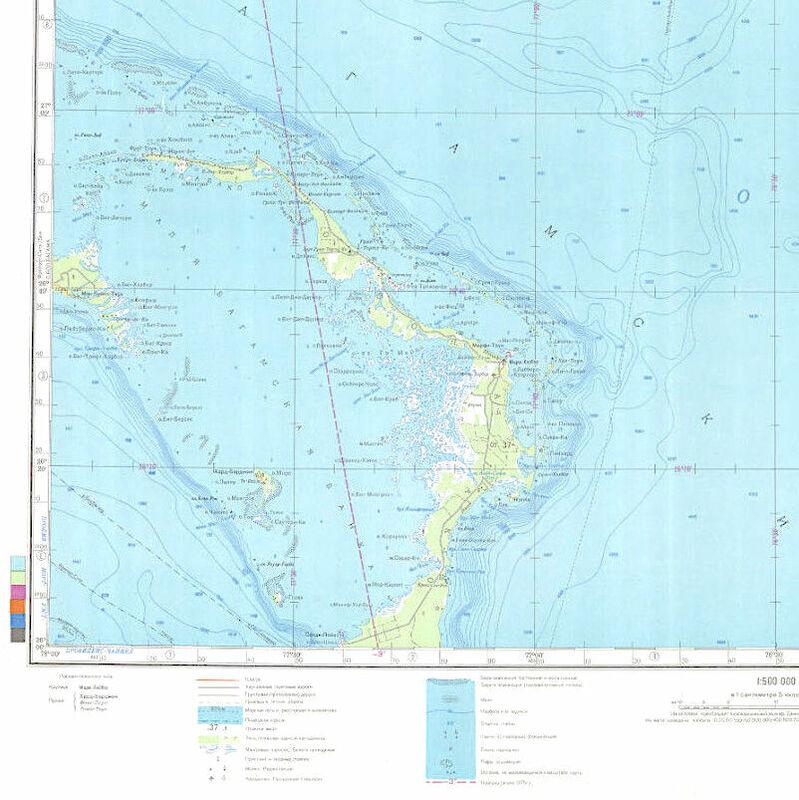 Unacknowledged in both the map and the inset titles, are the northern Bahamas islands. We can pass by Bimini, Andros and (Grand) Bahama which, apart from distinct oddities of scale, shape, and location are more or less as one might expect for the period. 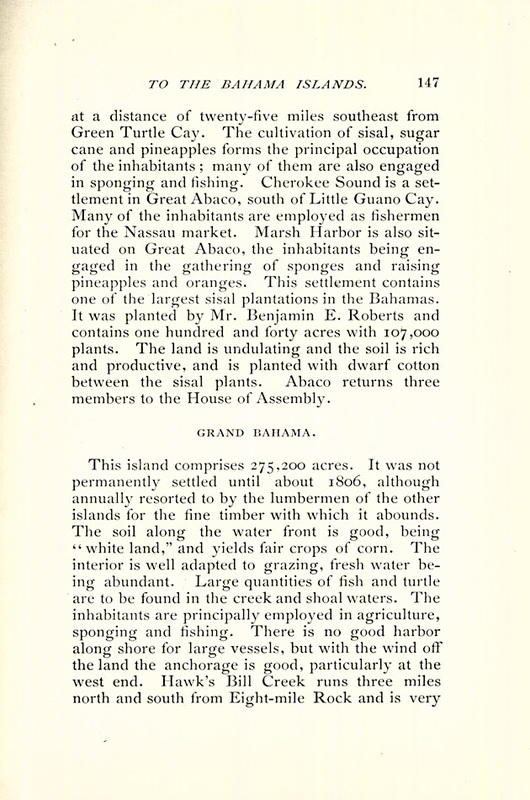 Let’s look at some details of the depiction of Abaco. 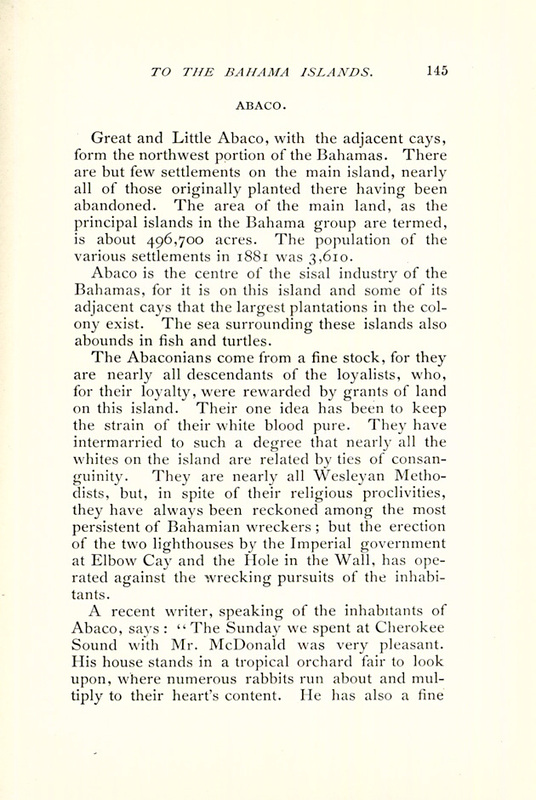 ABACO(A) The first geographical jolt comes not from the well-known fact that historically, present-day Abaco was originally called Lucaya (or variations), but that (New) Providence was called Abacoa. 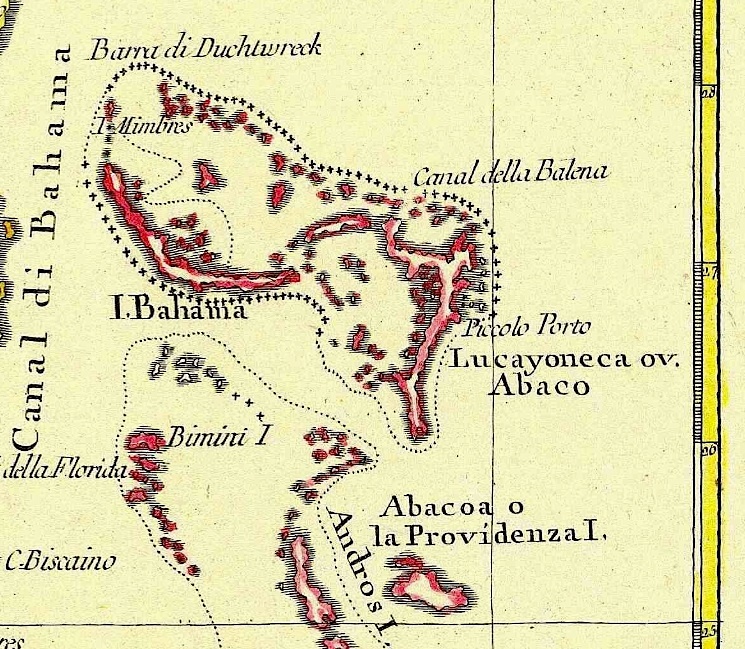 Adding to the confusion, some early maps also show certain cays as ‘Abaco’, ‘Abacoa’, or in the case of Tilloo Cay in 1815, ‘Aboca’, possibly through errors or misunderstandings. 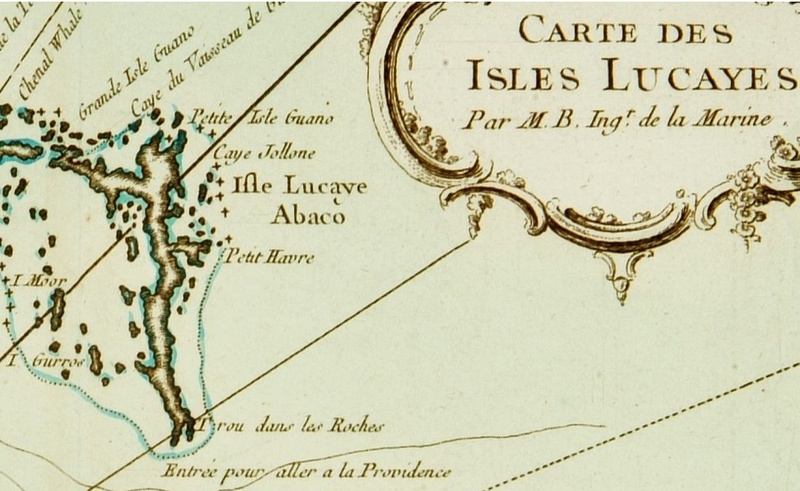 This map is one of the few I have seen that shows both the mapped transition of Lucaya (or its variants) to Abaco; and of Abaco(a) to Providence. If anyone has any idea why this came about, I’d be pleased to know! HITW? 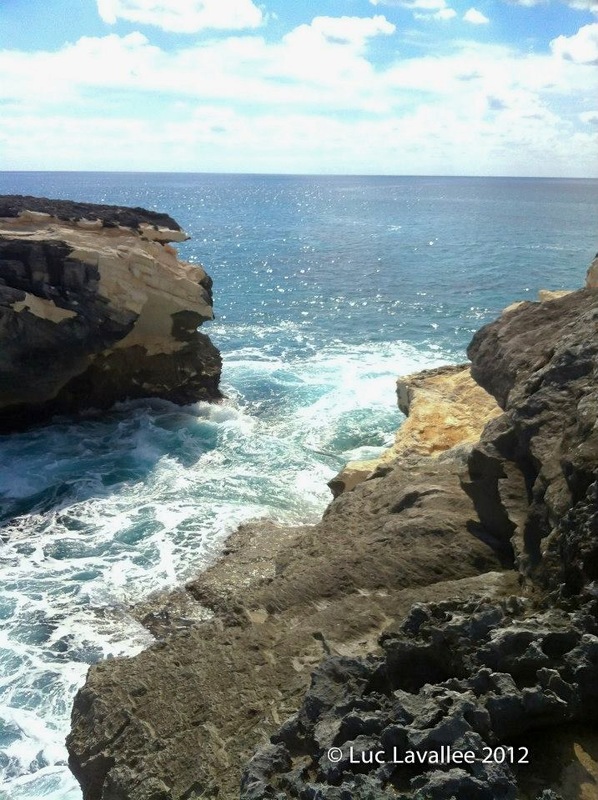 The next surprise is that Hole-in-the-Wall, an established and mapped nautical landmark for some decades, is not marked. Shown on maps since at least 1738, this is the first map I have found – other than the most basic – that does not feature HITW (in whatever language) or ‘Lighthouse Point’. An odd omission. PORTO PICCOLO’s inclusion is interesting because it continues a tendency – eg 1738, Couvens & Mortier – to show Little Harbour as the only named settlement, though by 1778 there must have been others. LH was clearly a place of some significance, and this presumably had a nautical explantation: the harbour is perfectly placed to offer protection and a safe refuge in stormy weather. 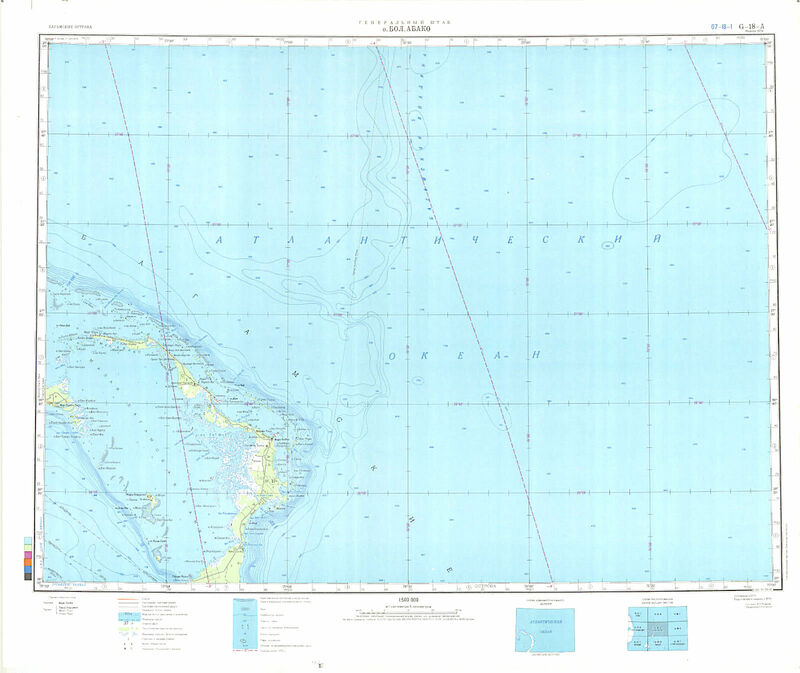 CANAL DELA BALENA refers to what, by the early c20, was called ‘Whale Cay Channels’ (below), by which time it was more accurately mapped. Other c18 maps also show ‘Chenal Whale’ and ‘Whale Channel’, but considerably north of the actual location. 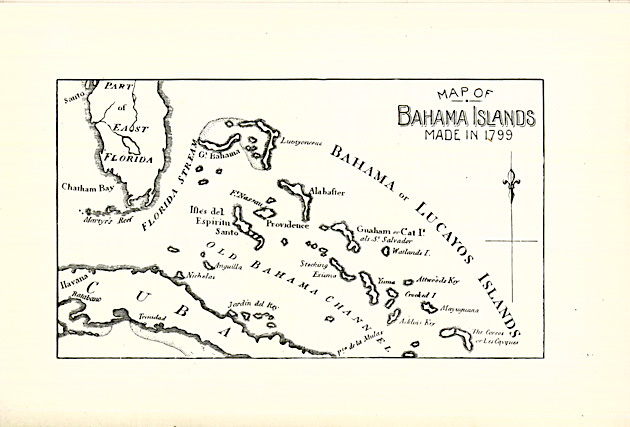 But in those days, even the outline of Abaco and the location of the cays was usually endearingly wonky. BARRA DI DUCHTWRECK I haven’t been able to find out much about this location, or the wreck that gave it its name. 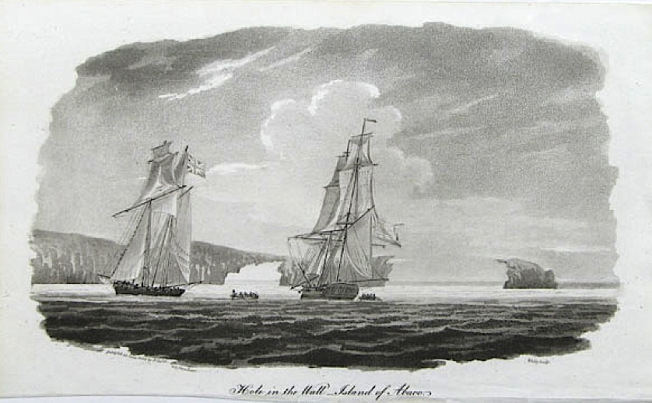 A map by Thompson (1815) calls it ‘Dutch Wreck Bar’, and I can only assume that at some time in the early c18 – or even the c17 – a Dutch vessel came to grief on the reef. I need to look into this more. Someday. Oddly, the modern Italian for a reef is barriera not barra. Maybe the word has changed over time, or the usage barra then was colloquial; or perhaps in mapping terms it was a generally accepted abbreviation. If you have got this far at all, or even with the assistance of 2 or 3 Kaliks, thanks for bearing with me. 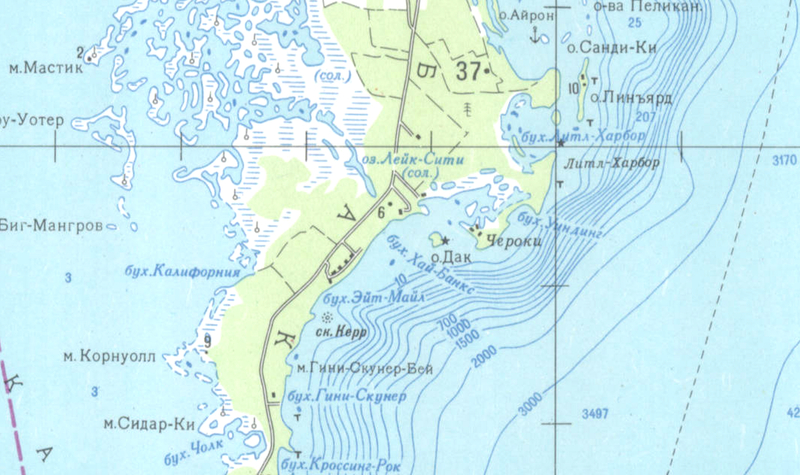 The old Abaco maps are fascinating, and of course once one begins to dig, so more stuff emerges… and so on. Credits: David Rumsey Historical Map Collection, http://www.davidrumsey.com / Cartography Associates – in particular for licensing non-commercial use of material via a Creative Commons License; magpie pickings from multiple open-source sites.